How would you differentiate yourself in this informal retail market? 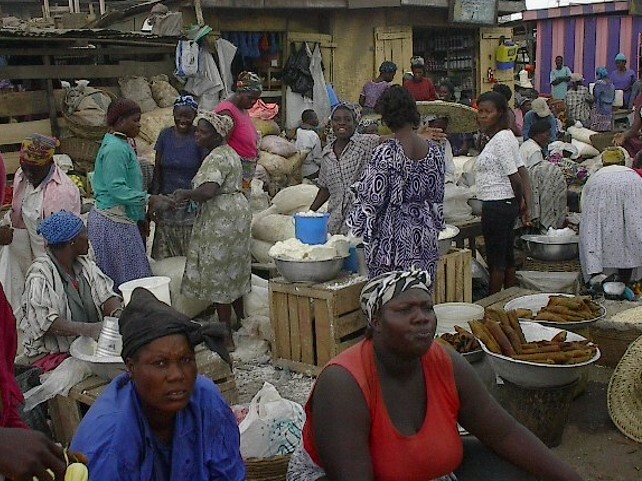 Ghanaian market research guru Gerry van Dyke took a closer look at the market ‘mummies’ – Mama Biashara, as we call her – and their consumer marketing techniques in the “non-label environment”. His findings form an excellent foundation for understanding marketing and customer relationships in the informal sector. You can explore insights from his presentation here (PDF). The story that follows tells the interesting marketing skills that reside in the traditional African market and the similarities in the tools employed by modern marketing. Designed in China, Made in Africa.